Johan Edfors, course owner, re-designer and dweller! "It’s a very unique course built in a forest with a lot of natural rock as features. It’s very American in style with bright white bunkers and very green grass. The greens are fairly small and undulated. A little similar to the Albatross Course in Prague." Former Hills Golf and Sports Club manager, Kerr Rowan. The Nordea Masters, formerly the Scandinavian Masters, was created in 1991 when the Scandinavian Enterprise Open, an event that dated back to the 1960s, merged with the PLM Open. Although a fairly new tournament, some big names have already taken the title. Colin Montgomerie won the inaugural staging and he went on to win it three times. Lee Westwood has also won the event three times and major winners Nick Faldo, Vijay Singh, Graeme McDowell and Adam Scott have also taken the title. The tournament was the first event in June last year so this is a brand-new slot and it doesn't appear to have helped with field strength. And as we're off to the Hills Golf and Sports Club near Gothenburg, we've also got a brand-new venue. Hills Golf and Sports Club, Hills vag, Gothenburg, Sweden. Designed by Steve Forrest and Arthur Hills (who also designed the Champions Course at the Keene Trace Golf Club in Kentucky, which recently hosted the Barbasol Championship), the Hills only opened in 2005 but six holes - nine, ten, 11, 12, 13 and 18 - were reworked by three-time European Tour winner and co-owner of the Hills, Johan Edfors eight years later. As is so often the case with European Tour events, info about the new venue is sparse so I'm extremely grateful to former Hills Golf and Sports Club manager, Kerr Rowan, who was kind enough to give us some pointers. The course is entirely bent grass. The fairways are generous, water is in-play on nine holes and all the greens were relayed with the new 007 bent grass turf and some subtle slope changes were also made in October 2017. I asked Kerr if the course reminded him of any other courses. "Hmm that's a tough one. It's a very unique course built in a forest with a lot of natural rock as features. It's very American in style with bright white bunkers and very green grass. The greens are fairly small and undulated. A little similar to the Albatross Course in Prague. The Hills was also used for the only once staged Dubliner Challenge on the Challenge Tour ten years ago (Demark's Mark Flindt Haastrup's only title) but since it was reduced to 54 holes and the course has been extensively reworked since, that form is about as much use as a chocolate fireguard. Live on Sky Sports all four days, starting on Thursday at 10:00 UK time. 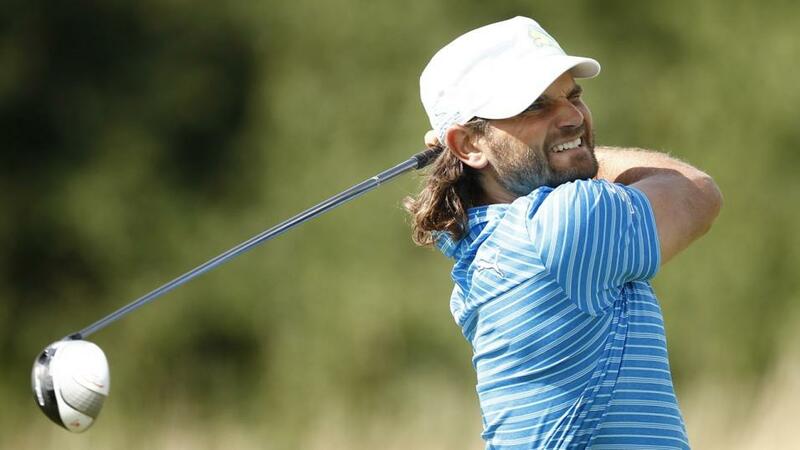 What Will it Take to Win the Nordea Masters? Looking at the videos and photos of the course and reading and hearing that it was generous off the tee, I asked Kerr whether he agreed with my thoughts that it was a second shot course, that it was easy off the tee and that finding the greens in regulation would be the key? "Yeah I would. The first hole is a par five for the members but they're playing it as a par four for the pros. Not that easy a par four for an opener but pretty easy driving course after that. I would think the pros will score low as it's not too tough at that level." The results for the four editions of the D&D Real Czech Masters at the Albatross Course might be worth checking out given Kerr (when pushed admittedly) thought that venue may correlate and it's worth reviewing the results of this event to see whether there is a link because that's where the European Tour's heading next week. There aren't too many previous winners in the field this week but Alex Noren, Mikko Ilonen and Jesper Parnevik have all won the event twice and as already mentioned, Monty and Westwood have won it three times. That's a lot of multiple winners for an event that only started in the 90s so the few past winners present might be worth considering. Swedes have a reasonable record in the event, given they've won four of the last ten renewals. It just goes to show how weak this year's field is. My 50/1 each-way pick in the tournament last year, Thorbjorn Olesen, is trading at a single figure price at the head of the market and he's not too short. He took his time to get going at Bellerive last week after a brilliant third in the WGC-Invitational the week before and he could very easily hack up in this company. The fact that he's a bit in and out, form wise, and that there's a risk of fatigue is slightly off-putting though and I'm happy to leave him out. With no Henrik Stenson (defends in the States) or Alex Noren, Alex Bjork and Joakim Lagergren headline the home challenge and both could very easily contend. They've both got off the mark on the European Tour for the first time this season and as mentioned above, the Swedes have a fair record in the event. Martin Kaymer is the only other player trading at less than [30.0] and the old Kaymer would be a force to be reckoned with in this grade but the current one needs swerving. It's now more than four years since he last won and he's not been the same since he lost a ten stroke lead in Abu Dhabi in early 2015. I was more than happy to play Korea's Jeunghun Wang at [60.0] given he's already won three European Tour events and given that he's been showing glimpses of late and I was also happy to play the defending champion, Renato Paratore, at slightly bigger. As highlighted above, previous winners tend to prosper and it was interesting to see that he had also finished fifth at the aforementioned Albatross Course in 2015. And talking of the Albatross, last year's D&D Real Czech Masters, Haydn Porteous, has been chance too. I asked Kerr who had experience of the course and he replied. "Nicklas Lemke and Niclas Fasth both play there regularly. Especially Fasth. And Joel Sjoholm too. Edfors is one of the owners and lives at one of the new houses on the course." The players with course experience very rarely shine given a different set-up and they're usually over-bet too but I felt all four that Kerr highlights are big enough to play for a few pounds. I'll be back later with my Wyndham Championship preview.